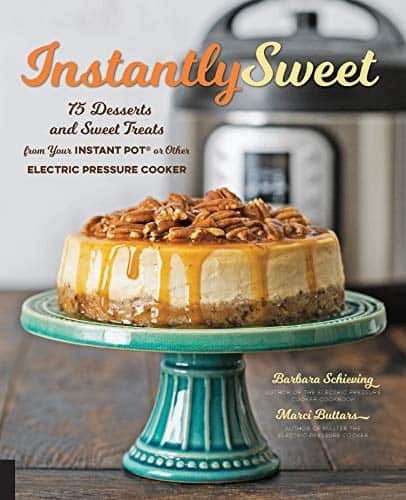 Need a simple, delicious and adaptable one pressure cooker pot dinner? We've got you covered! 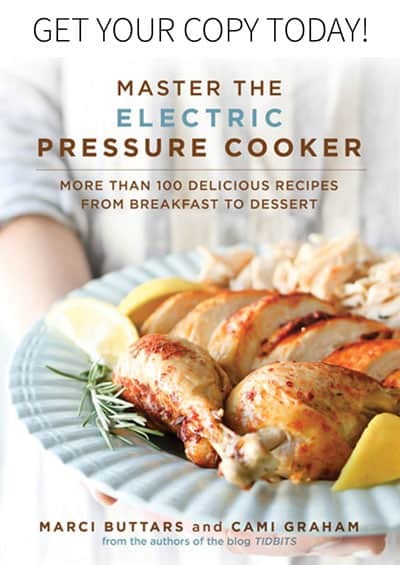 Cook your chicken together with your choice of russet or sweet potato in the electric pressure cooker, and WA-LAA! 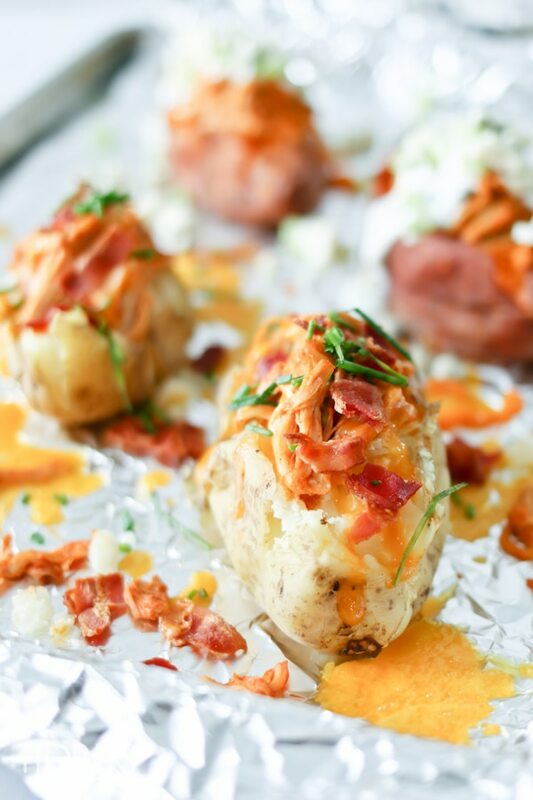 Pressure Cooker Buffalo Chicken Stuffed Potatoes are served. This post is part of an original TIDBITS recipe, first seen HERE on tidbits-cami.com. So in an effort to keep the peace mixed with a bit of proving my little sis wrong, I agreed to creating a recipe that was a bit flexible. 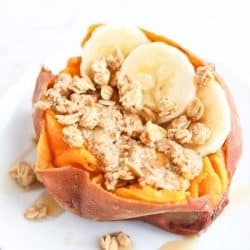 Don’t like sweet potato? Swap for russet. Can’t embrace blue cheese? Go for cheddar. Can’t handle the heat? 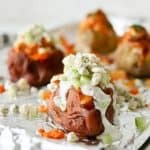 Toss your chicken with just a dash of buffalo hot sauce and then pass the bottle to me so I can pour it over my blue cheese covered sweet potato like it’s gravy! It’s not hard to see which side I’m on, right? 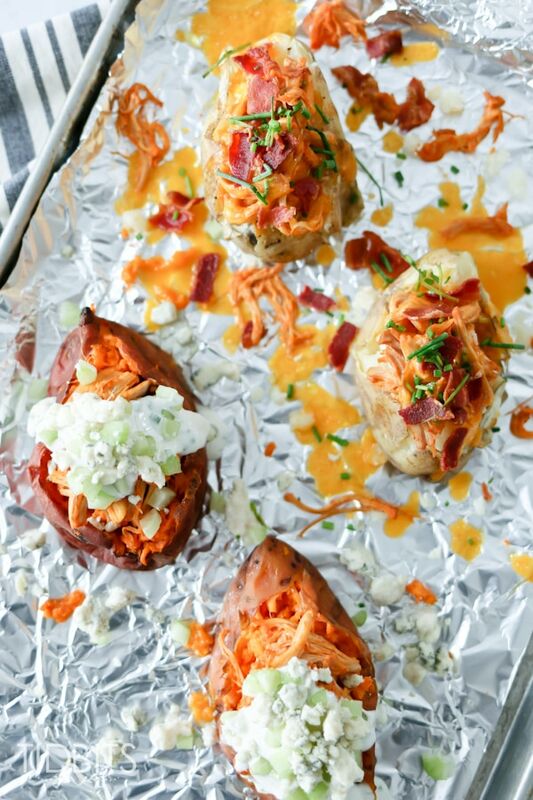 If you haven’t made “baked” potatoes in your pressure cooker yet, you are in for a real treat. 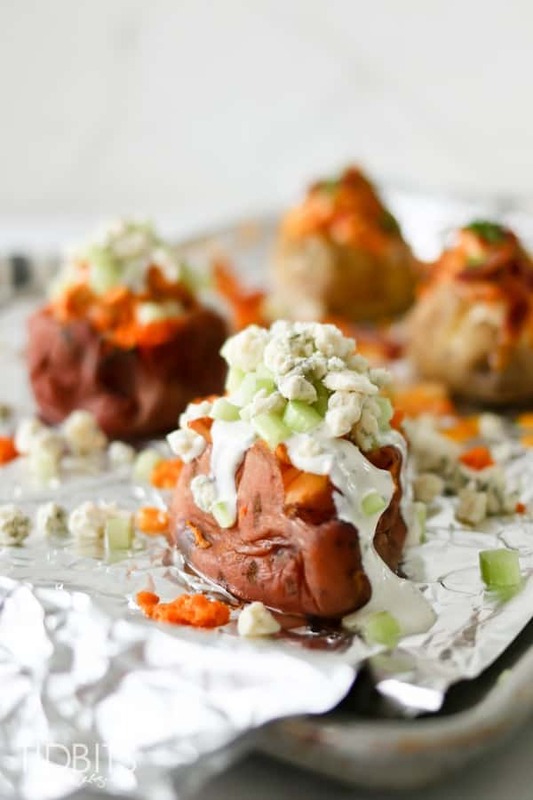 They are moist and oh-so-fluffy and you don’t even need to poke holes in those tater babies. Just wash, toss them into the pot, perform a little button pushing action, and then go enjoy yourself a cup of Crio Bru! But oh no, we aren’t stopping there. This meal becomes a one pot dinner by adding chicken thighs to the bottom of the pot. 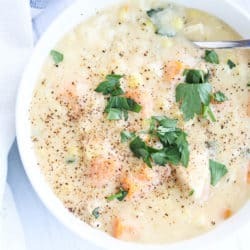 The chicken and the potatoes cook up perfectly in the same amount of time so with very little effort, you will be rewarded with a super quick, easy peasy delicious dinner that required less effort than ordering takeout (slight exaggeration. Hey, at least it’s probably healthier than the take out you were so tempted to order!) Chicken thighs cook up incredibly tender every time (unlike my nemesis the chicken breast that is perfect one time, and “boiled owl” the next-as my husband likes to call it). This chicken also freezes like a dream and can be transformed into buffalo chicken pizza, lettuce wraps, tacos, etc. Life is inevitably busy for all of us. 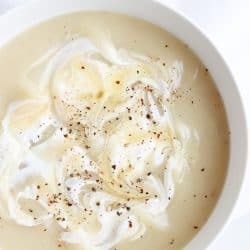 My small gift to you this week is a recipe that can be thrown together in minutes and will be nourishing to your mind, body, and soul. Enjoy! 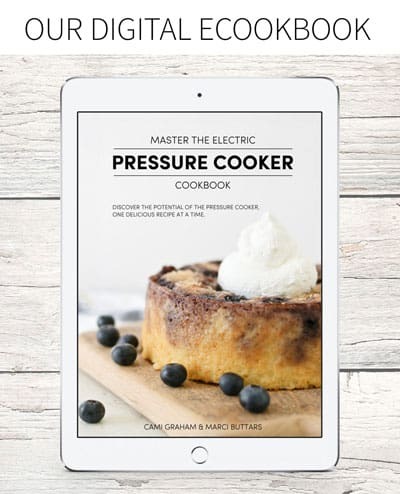 For more delicious recipes from us here at TIDBITS, start your search HERE and grab your copy of our Master the Electric Pressure Cooker Cookbook. 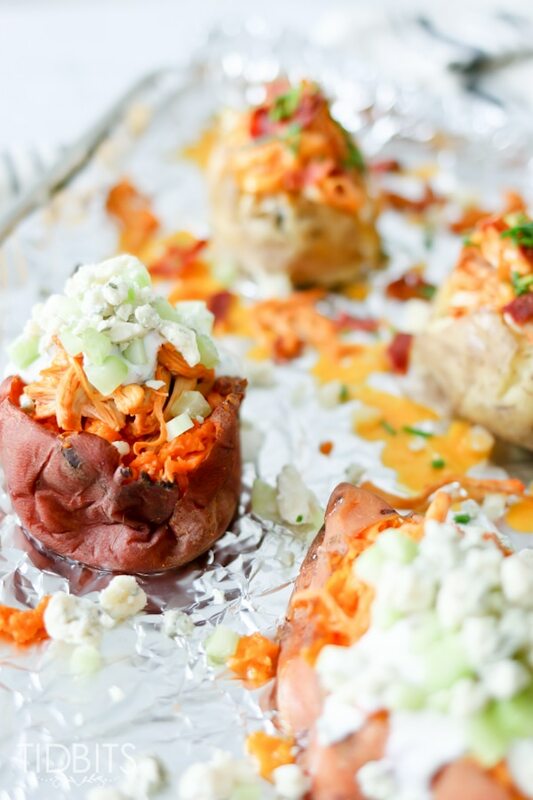 Take the basic “baked” potato and elevate it with buffalo chicken and endless topping choices! Pour chicken broth into the pressure cooker pot. Add paprika, cumin, garlic powder, onion powder, salt and pepper; stir. Add chicken thighs and stir. Arrange chicken in a single layer on the bottom of the pan (or as close to a single layer as possible). Place a tall trivet on top of the chicken and arrange russet or sweet potatoes on top (no need to poke holes in the potatoes). Secure the lid and turn pressure release knob to a sealed position. 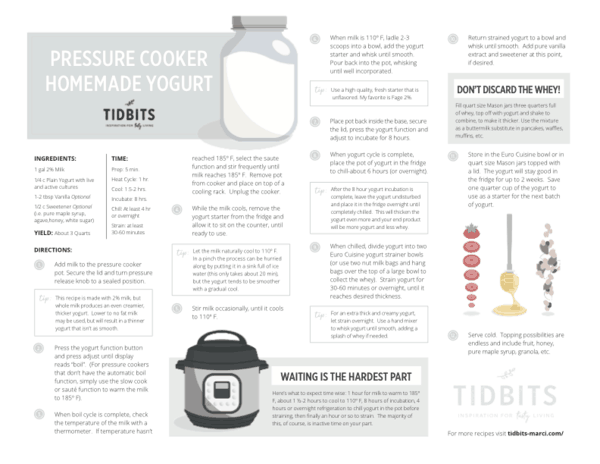 Cook at high pressure for 16 minutes. 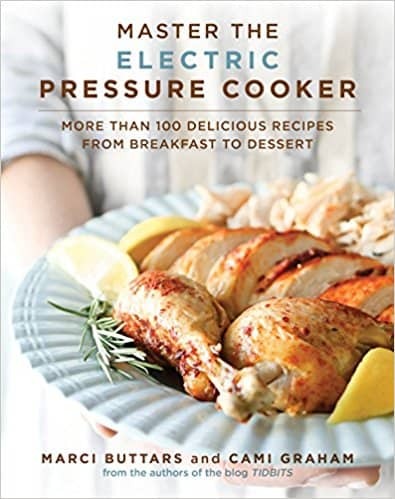 When pressure cooking is complete, use a natural release. 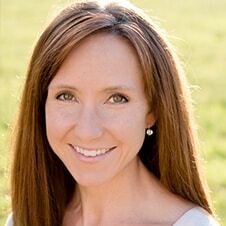 (Could also do a 10 minute natural release followed by a quick release of any remaining pressure). 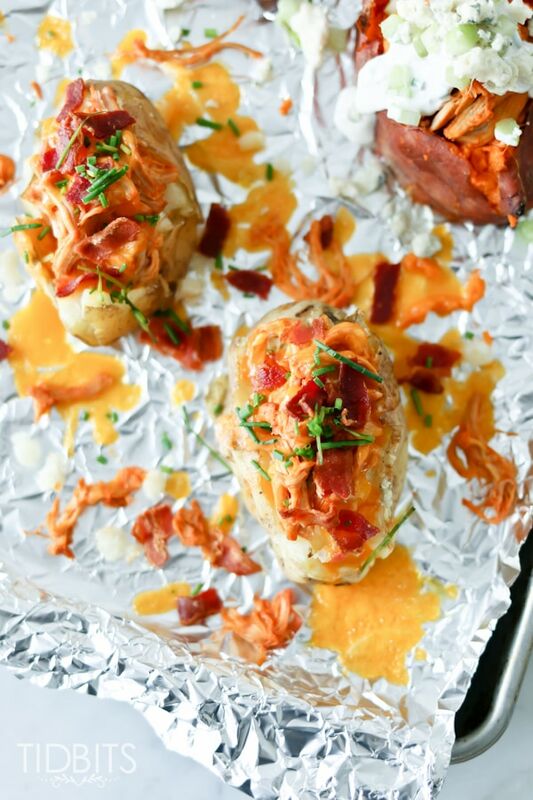 Place potatoes on a plate and cover with foil to keep warm. Remove chicken from the pot and discard liquid. Place chicken in a bowl and shred. Pour Franks Red Hot sauce over the chicken. Add more sauce to increase spice level. 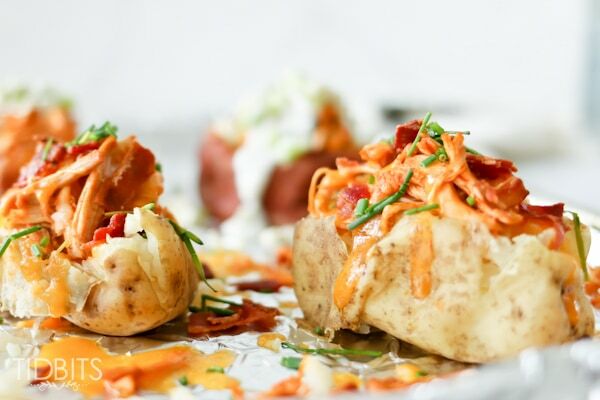 To serve, slice the potatoes long ways and fluff. 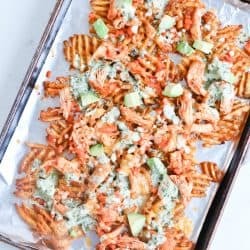 Top with shredded buffalo chicken and desired toppings. 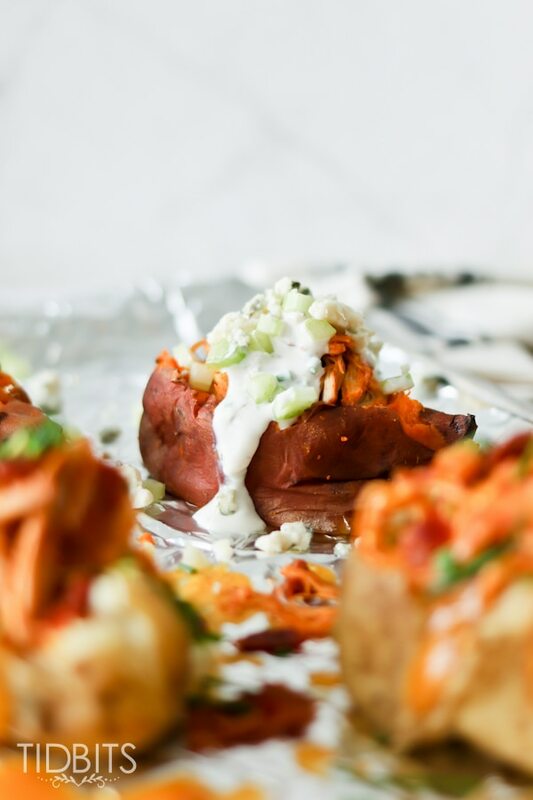 Pictured above are russet potatoes topped with chicken, cheddar, bacon, and chives and then placed under the broiler to melt the cheese and sweet potatoes topped with chicken, sour cream and chive sauce, blue cheese crumbles, and chopped celery. Feel free to mix up toppings and type of potato as desired! 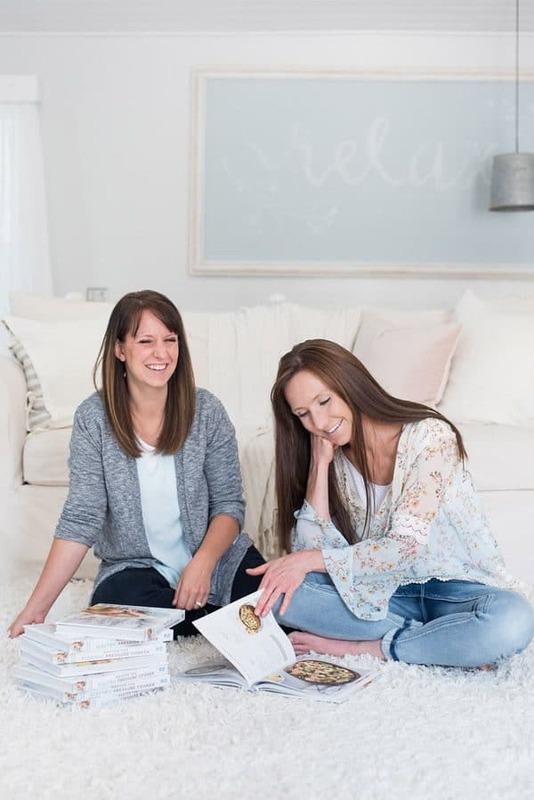 Do you have any suggestions on which trivet to use or can you send a link to the one you have? Thanks.